The Razor Slim Shooter Folding Muff features two omni-directional microphones with full dynamic range HD speakers for clear balanced sound. 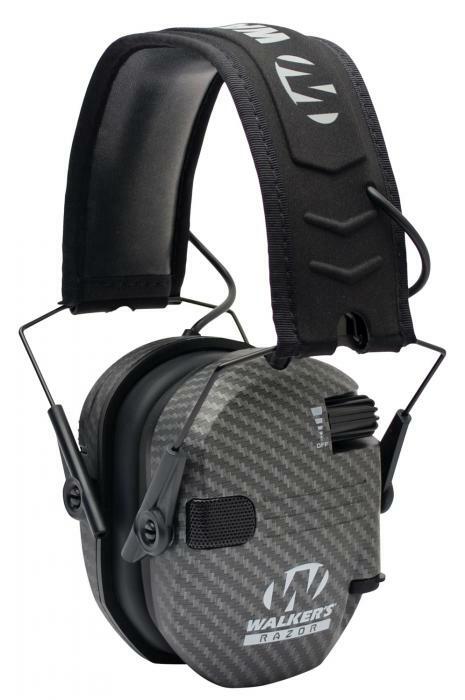 The sleek muffs also have an audio input jack, recessed volume control knobs, sound dampening composite housing, and AAA (2) batteries included. This model has a Carbon gray finish.